Traditionally, an enthymeme is an incomplete argument, made so by the absence of one or more of its constituent statements. An enthymeme resolution strategy is a set of procedures for finding those missing elements, thus reconstructing the enthymemes and restoring its meaning. It is widely held that a condition on the adequacy of such procedures is that statements restored to an enthymeme produce an argument that is good in some given respect in relation to which the enthymeme itself is bad. In a previous paper (Paglieri, Woods in press), we emphasized the role of parsimony in enthymeme resolution strategies and concomitantly downplayed the role of “charity”. In the present paper, we take the analysis of enthymemes a step further. We will propose that if the pragmatic features that attend the phenomenon of enthymematic communication are duly heeded, the very idea of reconstructing enthymemes loses much of its rationale, and their interpretation comes to be conceived in a new light. In an obvious extension of the well-known distinction between what an utterance means and what an utterer means in uttering it, let us acknowledge a difference between an argument as uttered and an argument as meant or, for short, an uttered argument and a meant argument. (For ease of exposition, we allow “utterance” to cover speaking and inscribing alike.) We are interested in a class of arguments in which the uttered and meant are thought to be linked in a quite particular way, to be discussed in section 2. For ease of exposition let Au symbolize an uttered argument and Am the argument it means. When Au is an enthymeme with respect to Am, we will say that Au “craters” Am. Among philosophers who investigate enthymematic discourse, there is considerable support for the idea that Au communication couldn’t succeed except that, in taking the argument you meant from the redundant crater of it, your addressee filled in the crater. How else could he know the argument you mean if he is not able to give it full articulation, that is, a formulation that uniquely individuates it? (Or, in plainer terms, a formulation that fills in the blanks that constitute the crater.) Accordingly the task imposed by mainstream enthymeme-theorists is that of determining how blanks are to be filled, that is to say, determining the appropriate enthymeme resolution strategy. The most popular answer, by far, is that the right filling-in is one that removes Au’s distinguished badness with least adjustment of it. This is a minimalist badness-elimination strategy, said to be both the strategy that gives the right filling-in and the strategy that addressees actually manage – somehow – to implement. Several versions of this strategy are discernible in the literature, usually in connection with application of the principle of charity to enthymeme resolution (Scriven 1976; Thomas 1977; van Eemeren, Grotendorst 1982; 1983; 1992; Walton 2001; 2008). We ourselves have come to think that this received view is mistaken (see Woods 2002; Paglieri 2007; Paglieri, Castelfranchi 2010; Paglieri, Woods in press). It is mistaken not only in its details. It is mistaken in principle. The present authors are at one with those who see arguments Au and arguments Am linked in such a way as to satisfy the conditions that follow. While we think that these conditions have an undeniably attractive plausibility, we cite them with a provisionality proportional to the complexity of their subject matter. ADVANCEMENT: Meant arguments are not themselves uttered but are advanced by uttered arguments. Again, let Au be an uttered argument and Am a meant argument. Then Au and Am satisfy the advancement condition just in case, for any arguer S, in uttering Au he advances but does not utter Am. So we may say that utteredness is not closed under argument-advancement. For example, in standard conditions, utterance of the argument á”Socrates is a man”, \“Socrates is mortal”ñ advances the unuttered argument á”All men are mortal”, “Socrates is a man”, \”Socrates is mortal”ñ. The respect in which the unuttered Socrates argument is good is its validity. It is in this same respect that the uttered argument is bad. It is invalid. On the face of it, the badness condition is bad news. How, we might ask, can it be good communication practice to advance a good argument with a bad argument? Aren’t bad arguments precisely what sensible people will take steps to avoid? For the class of cases presently in view, the answer is “No”. It is “No” thanks to the fulfillment of a third condition. TRANSPARENCY: Among co-linguals, S and S¢, it is standardly the case that when, in the absence of specific tutelage,[ii] S¢ has an adequate lexical understanding[iii] of Au then if, in uttering Au, S advances Am, S¢ will on hearing (reading) Au know that Am is the argument meant. S¢ will take it that, in uttering Au, S is advancing Am. TRUMPS: When the transparency condition is met, Am’s goodness trumps Au’sbadness. So a bad Au is a good argument-advancer if the Am it advances is good in the respect that the Au is bad. “KANTIAN” QUESTION: What are the conditions that make possible the concurrent satisfaction of the advancement, badness, transparency and trumps constraints? CONTEXT-FREEDOM: When Au and Am are such as to fulfill the above conditions, there are no contextual or conventional elements in play save those required for an untutoredly correct lexical understanding of Au. REDUNDANCY: When Au and Am are such as to satisfy the above conditions, Am is a redundant version of Au. COMPACTNESS: When Am is a redundant version of Au, Au is a compact version of Am. Redundancy and compactness are phenomena of interest to pragmatics, and have occasioned a large and interesting literature. A good deal of it deals with the compactness of craters achieved by removal of subsentential – typically morphemic – elements. For example, “Sarah was giv¼ Harry the kiss of life when the ambulance arrived” is a compact crater of “Sarah was giving Harry the kiss of life when the ambulance arrived”, as is “Harry poured the honey ¼ the nearest jar” a compact crater of “Harry poured the honey into the nearest jar”. What is interesting about our cases is that craters are created by the omission of sentential parts. When Au is a crater of Am, some of the sentences present in Am will be absent from Au. Either way, when the crater is compact, then in uttering the crater one advances the non-crater. Notwithstanding the similarities, there are some important differences between the sentence-craters and argument-craters. One is that argument-craters are an untutoredly natural way of advancing complete arguments, but sentence-craters are not at all the untutoredly natural way of advancing complete statements. We said in section 1 that the dominant view of enthymeme resolution in what we called the miminalist badness-elimination is a mistake. To see why this so, let’s return to the original distinction between utterance and utterer meaning. Let f be a sentence and Ψ the statement meant in the utterance of f. Suppose that f is a crater. What is it a crater of? Strictly speaking, it is a crater of f¢, which in turn is the fully constituted expression of Ψ. An example: If f is the sentence “Sarah was giv… Harry the kiss lf life” then Ψ is the statement that Sarah was giving Harry the kiss of life, and f¢ – the sentence that removes the crater in f – is “Sarah was giving Harry the kiss of life.”[iv] Now no one has seriously proposed that for these things to be true, f¢ had to be good in a certain way and f had to be bad in that same way. That is, no one has required that f¢ be semantically good and f correspondingly semantically bad, that for f to advance f¢, f¢ must be true and f not true. Indeed, when it is the case that in uttering f one states that Ψ, it is hardly plausible to suppose that when f is true f can’t be. This is a point worth emphasizing. SEMANTIC REFLECTION: In cases of statement-making by way of sentential utterance, if f is a redundant crater of f¢, then f¢’s semantic properties are reflected back on f.
For example, if f¢ means that Ψ, so does f; and if f¢ is true, so is f. It is well to note that in proposing the semantic-reflection condition, we have taken a large step. Not only is it not the case that, in matters of statement-making, meant statements must be true and redundant craters not. Neither is it the case, whatever the truth value of the statement meant, that its compact crater cannot also have it. No doubt, not everyone will like the semantic reflection condition. So let’s pause to consider what the case against it might look like. For one thing, we could note that in all strictness f is not a sentence, hence cannot be a true sentence even if f¢ is true. So semantic reflection fails and deserves to fail. SEMANTIC REFLECTION 2: If Au is a redundant crater of Am then Am’s semantic properties are reflected back on Au? If so, then valid or invalid, whatever held for Am would also have held for Au. Of course, here too there is a counterargument. If one examines the cases which most occupy the attention of logicians, validity is the target semantic property, and validity is a matter of having the right logical form. There are cases galore in which the form that makes an Am valid is missing from its compact crater Au. Doesn’t this overturn the present semantic reflection claim? We will consider these objections in order, beginning with the proof that f’s failure to be a sentence precludes its truth even when the statement it advances is true. In the formal semantics of uninterpreted languages, the proof is perfectly in order. Natural languages support a distinction between a sentence and the proposition it expresses. Artificial languages have no such distinction except in the limiting case in which it is stipulated that an uninterpreted sentence is its own statement. Truth is then defined for sentences and nothing else. Any string at odds with system’s formation rules is disqualified for sentencehood, and likewise for truth. Natural languages are different. Truth is defined for statements and derivatively for sentences. If f* is a sentence and Ψ is the statement it expresses, then f* is true if Ψ is. But suppose now that f is a compact crater which likewise expresses statement Ψ. Where is the gain in allowing f* to be true on account of its expression of Ψ and f not to be true notwithstanding its expression of Ψ, given moreover that f just is f* except for some of f’s redundant bits and pieces? The question answers itself, and in so doing, helps us see that there are two features of compact craters to pay special attention to – their craterliness and their compactness. Craterliness is a syntactic property. Compactness is a semantic property. They are related in an important way. Here is how. TRUMPS 2: Compactness trumps craterliness. So if f* expresses Ψ and is true when Ψ is, and f is a compact crater of f*, f is true when f* is. It remains to deal with the second case, that is, the purported proof that when an Am is valid, there are a great many cases in which Au will be invalid, made so by the syntactic fact that its craterliness denies it the logical form that makes Am valid. Here, too, it is necessary to point out that just as uninterpreted languages lack the distinction between a sentence and the proposition it expresses, it also lacks the distinction between a sequence of sentences and the argument it expresses. In natural languages, if a sequence of sentences expresses an argument and the argument is valid, one can say, derivatively, that the sequence of sentences likewise is valid. In uninterpreted languages, lacking this distinction, a sequence of sentences is the argument it expresses. And since validity is defined over syntactic features of those sentential sequences, nothing that fails to be a bona fide sequence of bona fide sentences is valid in those languages. But, again, natural languages are different. If As is a sequence of natural language sentences expressing the argument Am, As is valid if Am is. Suppose now that Au is a redundant crater of As which likewise expresses argument Am. Where is the gain in allowing As to be valid on account of its expression of Am and Au not to be valid notwithstanding its expression of Am, given moreover that Au just is As except for some of As’s redundant bits and pieces? Again, the question answers itself, and we have it anew that the semantic property of compactness trumps the syntactic property of craterliness. So Eveline won’t be driving to Calgary. There isn’t any hydrogen in the atmosphere of the planet Xerxes. ii. So there won’t be any ice-crystals forming on its surface. Anyone with basic school science will readily understand the argument advanced by this crater. This leaves millions of others who, even with an untutoredly competent lexical understanding of the crater’s sentences, could not achieve this understanding. In each case, Am-specifications requires the satisfaction of two conditions: untutored lexical understanding of the relevant sentences, and untutored command of relevant non-linguistic situational factors. In contrast, enthymemes in our present sense are Au’s that satisfy only the first of these conditions. This raises an important question for the logic of enthymemes. Shall we persist with a definition that denies to large classes of cases exhibiting the features of the Eveline and Xerxes cases the status of enthymeme? Or should we try to widen the definition in ways that collect these two case and the afore-mentioned Socrates example under a more generous conception of enthymemehood? If Au is such that its meant argument Am is discernible to anyone simply on the basis of what he already knows, then Au is an enthymeme of Am. Since time presses, we propose the following accommodation: we shall persist with the narrow definition of enthymeme and yet leave it open to those who may wish to do so to reconfigure our claims in keeping with the more inclusive definition. As we saw, in learning to argue, compact utterance is the earlier and more natural achievement, and it dominates over fully articulated utterance thereafter. What accounts for this? What accounts for this when learning statement-making reverses this priority, favoring redundancy over compactness? What are the semantic mechanisms underlying the semantic reflection property? In particular, what are the consequences, if any, of semantic reflection for compositional semantics? This pair of questions defines a large and wide-open research programme in scientific and philosophical linguistics. We ourselves are far from ready answers but perhaps it would not be premature to register a caveat. The caveat is that, whatever its details, the enthymemes project will not be much advanced by the practices and presumptions of the logical and argumentation theoretic mainstreams. For, if the semantic reflection condition holds true, and if the semantic property of compactness trumps the syntactic property of craterliness, then no reconstruction is needed for enthymemes, and their resolution strategy, whatever it turned out to be, must account for the easiness and lack of ambiguity in the typical understanding of enthymemes. So far our conclusions on the nature of enthymemes have been mainly negative ones. We argued that no reconstruction is involved in understanding an enthymeme, since its Am is directly advanced by its Au, and any competent speaker will understands the former as the intended meaning of the latter. This implies that enthymemes do not suffer of any semantic deficiency with respect to their explicit counterparts, since semantics in natural languages refers to interpreted meaning, not to syntactic form alone, and the interpreted meaning of an enthymeme coincides with that of its explicit counterpart – indeed, a fully explicit argument can be said to be a “counterpart” of an enthymeme only by virtue of such identity of meaning. This is tantamount to saying that enthymemes are semantically unambiguous: they have non-ambiguous meaning to start with, and they do not need any supplementation in order to “acquire” or “disambiguate” their meaning. However, it remains true that (i) the incomplete utterance of an enthymeme (Au) typically admits of multiple syntactic reconstructions that would generate different fully explicit arguments, and (ii) the intended meaning of the enthymeme (Am) coincides with the meaning of one of these possible reconstructions. Let us define a complete argument (Ac) as any syntactic sequence that describes a fully explicit argument structure. For every enthymeme, the Au admits of multiple Acs, and the Am coincides with the meaning of one of these Acs. This fact cannot be mere happenstance, and this leaves us with an important problem: how do we select a unique Am out of many Acs? The fact that we are good at this task does not remove the problem – on the contrary, it intensifies it. How do we immediately home in on Am, without even bothering to consider other Acs as potential meanings of Au? How is that understanding Au immediately implies knowing Am? What are the principles that make Au unambiguous, with respect to its Am, in spite of multiple syntactic ways of turning a non-argument sequence (Au) into an argument sequence (Ac)? Let us call this the enthymeme understanding problem (EUP). EUP is a challenge precisely because an enthymeme is not semantically ambiguous, even though the incomplete utterance that expresses it would admit of multiple argument-making completion sequences (let us call this property syntactic openness). So the question is: why syntactic openness does not generate semantic ambiguity in enthymeme interpretation? It is worth emphasizing that EUP does not imply that enthymemes need any reconstruction prior to their interpretation: enthymemes have unambiguous meaning to start with, and EUP simply poses the question of how they can be so semantically unambiguous, in spite of the syntactic openness of their utterance. Notice that semantic openness does generate semantic ambiguity in statement-making: the main reason why “John … a good friend of Mark” is more costly to process than its complete counterpart is because it is not immediately clear how to fill the gap, precisely because there are multiple candidate gap-fillers, e.g. “is”, “isn’t”, “knows”, “loves”, etc. There must be something in enthymeme understanding that prevents similar difficulties, excluding all argument-making completion sequences but one as legitimate interpretations of Au. A central task of a theory of enthymeme is to specify what is that does the trick with negligible costs. Parsimony is a crucial factor in solving EUP. As noted above, the costs of understanding an enthymeme need to be lower than the benefits of uttering the argument compactly rather than redundantly, otherwise we would have the same situation observed in statement-making, where redundancy trumps compactness – whereas with argument-making the opposite is true. So we need a solution to EUP which does not typically impose high costs on the interpreter. EUP asks how a single meaning is so easily established for an enthymeme, among many potential candidates. 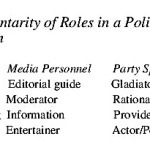 In previous work (Paglieri, Woods in press) we suggested an answer that do not imply a specific focus on the speaker’s intended meaning, but rather concentrates on the interpreter’s background knowledge and inferential habits. We proposed that parsimony shapes the interpretative process, by imposing the path of minimal resistance: among the various possible Acs of an enthymeme, the one that comes more readily available to mind is the one that determines its Am. Notice that here ‘availability’ refers also to a certain inferential scheme, not only to the content of the unuttered premise. Consider for instance the enthymeme “All butterflies are short-lived, therefore the Psittacula krameri is short-lived”. Here a competent interpreter will understand “The Psittacula krameri is a butterfly” to be part of Am. This is not because the interpreter had any privileged access to this information beforehand, but rather because she was highly familiar with the following inferential pattern: From (Every X has property B) and (p is an X), it follows that (p has property B). It is familiarity with this inferential mechanism that biases enthymeme understanding, and not any previous knowledge on the matter under discussion. By the way, the Psittacula krameri happens to be a parrot, so it is neither a butterfly nor short-lived. (1) If there are one or more Acs with premises that are not notoriously false for the interpreter (see definition below), then the one that maximizes inferential familiarity is selected and the procedure stops; in the unlikely case that more than one such premises instantiate argument structures of equal inferential familiarity, semantic familiarity is used to break the tie, giving priority to premises believed to be true over premises believed to be false or simply not believed. (2) If all Acs use premises that are notoriously false for the interpreter, then the one among them that maximizes inferential familiarity is selected (even if it produces a crazy argument), and the procedure stops; eventual ties are solved as described in (1). Semantic familiarity serves two purposes: it preliminary restricts the set of potential argument structures over which inferential familiarity is maximized, by excluding from consideration at step (1) any interpretation relying on notoriously false implicit premises; and it acts as tie-breaker in the unlikely event that two equally familiar argument structures compete for the meaning of the enthymeme, by ruling in favor of the one which uses implicit premises that are more likely to be familiar to (i.e. believed to be true by) the interpreter. Here “P is notoriously false for X” means that subject X believes P to be false and also believes that any sane co-lingual shares this belief in the falsehood of P. We need a notion of “notoriously false for X” because the weaker notion of “disbelieved by X”, i.e. believed false by X, would suggest that we hesitate in understanding enthymemes with (unuttered) premises we consider false, and this is certainly not the case. Faced with “There have been repeated terrorists attacks against Israel from groups based in the Gaza strip, so Israel has a right to invade the Gaza strip”, competent speakers would interpret this as implying that “Terrorists attacks gives a right to invade the territory where terrorists are based”, even if some of these speakers would consider this statement false, and thus the enthymeme unsound. What we resist understanding as a tacit premise in an enthymeme, unless as a last resort, are statements that are notoriously false to us, the falsehood of which we take as a matter of general knowledge. This captures the fact that we have no problem in considering arguers to be mistaken, but we do have qualms in considering them to be deranged. If we now turn back to concrete instances of enthymemes, we can see how their understanding is determined by parsimony over familiarity. “Socrates is a man, therefore he is mortal” is solved at the first step of the procedure: the premise “Every man is mortal” is both well known and it fits a familiar inference scheme, the Barbara syllogism. As for enthymemes that involve premisses unknown to us (but not notoriously false), like “All butterflies are short-lived, therefore the Psittacula krameri is short-lived”, these also are solved at step (1), whereas step (2) is reserved for blatantly crazy enthymemes, e.g. “I am happy, so Mars is not a planet”: lacking any other alternative to understand this enthymeme, the interpreter has to admit that it conveys the notoriously false corresponding conditional “If I am happy, then Mars is not a planet”. Particularly interesting to discuss are invalid enthymemes: incomplete arguments that are understood as being not just unsound, but also invalid. Consider “Every Catholic priest is male, so John is a Catholic priest”. Assuming that its typical interpretation includes the unstated premise “John is male”, we do not want to say that inferential familiarity alone is responsible for such an interpretation. This would imply that a fallacious scheme of inference is more familiar to the interpreter than a perfectly valid one – namely, modus ponens (MP), that would make the argument valid (albeit unsound) by adding the corresponding conditional “If every Catholic priest is male, then John is a Catholic priest”. Saying that Affirming the Consequent (AC) is more widespread than MP in everyday reasoning and argumentation would be far too uncharitable towards the community of speakers. Again, it is the interplay of semantic and inferential familiarity that rules out MP and selects AC in this case. The fact that “John is male” is known to the interpreter, so AC is a viable candidate on step (1). In contrast, “If every Catholic priest is male, then John is a Catholic priest” is not just false, but notoriously so, and this rules out MP unless there is no other interpretation – which is not the case here. So the upshot is that correct interpretation in this case demands acknowledging the invalidity of the argument, even if MP in general is (hopefully) a more familiar inference rule than AC. The morale of this example is that we are more than ready to consider our fellow arguers to be inferentially mistaken, if this helps justifying a presumption of sanity for their beliefs. Since only notoriously false premises are ruled out at step (1), there is a priority given to inferential familiarity over semantic familiarity. Consider a case like “The Drosophila melanogaster is short-lived, so it is a butterfly”. Here two Acs compete for determining Am: an argument including the tacit premise “All short-lived animals are butterflies”, which is false [vii] but instantiates MP, and another argument including the premise “All butterflies are short-lived”, which is true (if we define “short-lived” as being in between few hours and few months) but instantiates AC. According to intuition, the first option seems what is naturally understood in this case, while the second would be regarded as misconstruing the enthymeme: it seems clear that being short-lived is proposed by the speaker as a reason for the fact of being a butterfly, not vice versa. So here MP wins over AC even if this means understanding the enthymeme as including a false premise instead of a true one. This reflects the intuition, built in our procedure, that we are far more ready to consider our fellow arguers to be factually mistaken, rather than inferentially misguided. ORDER OF PRESUMPTIONS: sanity of mind trumps correctness of reasoning, which trumps truth of arguer’s beliefs. Perhaps all this will strike readers as too hard on the enthymeme resolution community. For isn’t an important purpose of enthymeme resolution argument reconstruction? Isn’t it also true, especially in philosophy, that there are cases galore of arguments that seem much in need of careful reconstruction, and true as well that, in its absence, our interest in assessing these arguments is seriously compromised? Yes. Arguments are sometimes frightfully obscure or otherwise recalcitrant to ready assessment. But these recalcitrant cases present us with features that are not characteristic to the Au/Am dynamics. If in uttering Au, S advances to S¢ the argument Am, S¢ and any typical co-lingual will understand Au, and will typically know the Am that S is advancing. In argument reconstruction cases the latter feature is always missing, and the former is also missing, not invariably, but with a notable frequency. There is a brisker way of saying the same thing. Reconstruction is needed for recalcitrant arguments. The relation between a recalcitrant argument and its reconstruction is not that between an Au and its Am. So recalcitrant arguments are not enthymemes. So, whatever they turn out to be in detail, enthymeme resolution strategies are not argument reconstruction strategies. [i] We don’t mean to overlook Aus whose Ams are bad in a respect in which the Aus are also bad. But these are not our focus here. [ii] This excludes cases in which Am is literally coded in Au -Morse, Omega, and so on. [iii] One has a lexical understanding of a sentence just in case one’s understanding is constituted by an understanding of its words and word order. [iv] We are using “statement” and “proposition” interchangeably. [v] “The Enthymeme must consist of few premisses , fewer often than those which make up the normal syllogism. For if any of those premisses is a familiar fact, there is no need even to mention it; the hearer adds it himself” (Rhetoric, I, 2, 1357a, 16-19). [vi] Clearly inferential familiarity concerns competent application of a given inferential scheme, not the capacity to describe its structure or to assign it the proper logical label. [vii] Notice that “All short-lived animals are butterflies” is false but not notoriously so, i.e. it is not a belief that we would normally consider as a sign of insanity, but rather just an indication of the arguer being misinformed. Compare, for instance, with “I am happy, so Mars is not a planet” or “If every Catholic priest is male, then John is a Catholic priest”. [viii] This is purely the result of an automatic procedure to determine, easily and effortlessly, the Am of an enthymeme. So there is no need to postulate (as we do not, in fact) that arguers have the explicit intention of privileging mental sanity over inferential correctness over factual truth in their interpretation of the utterance: this is just an unintended effect of how our cognitive processes work, under the pressure of scant resources. [ix] For helpful advice the authors warmly thank the editors’ anonymous referee. Eemeren, F. van, & Grootendorst, R. (1982). Unexpressed premisses: Part I. Journal of the American Forensic Association 19 (2), 97-106. Eemeren, F. van, & Grootendorst, R. (1983). Unexpressed premisses: Part II. Journal of the American Forensic Association 19 (4), 215-225. Eemeren, F. van, & Grootendorst, R. (1992). Argumentation, Communication, and Fallacies. Hillsdale, NJ: Erlbaum. Chapter 6. Paglieri, F. (2007). No more charity, please! Enthymematic parsimony and the pitfall of benevolence. In H. V. Hansen, C. W. Tindale, R. H. Johnson & J. A. Blair (Eds. ), Dissensus and the search for common ground. (CD-ROM, pp. 1-26), Windsor: OSSA. Paglieri, F., & Castelfranchi, C. (2010). Why argue? Towards a cost-benefit analysis of argumentation. Argument & Computation 1, 71-91. Paglieri, F., & Woods, J. (in press). Enthymematic parsimony. Synthese. http://www.springerlink.com/content/80lk622013r2130k/, doi:10.1007/s11229-009-9652-3. Scriven, M. (1976). Reasoning. New York: McGraw Hill. Thomas, S. N. (1977). Practical reasoning in natural language. Englewood Cliffs: Prentice-Hall. Walton, D. (2001). Enthymemes, common knowledge, and plausible inference. Philosophy and Rhetoric 34 (2), 93-112. Walton, D. (2008). The three bases for the enthymeme: A dialogical theory. Journal of Applied Logic 6 (3), 361-379. Woods, J. (2002). Speaking your mind: Inarticulateness constitutional and circumstantial. Argumentation 16, pp. 59-78.